Our engineered product line extends beyond building new pumps. Combining the knowledge and skills of a pump manufacturer and a repair center, we are able to turn surplus pumps into remanufactured pumps that are suitable for your application. We offer a wide variety of remanufactured pumps including ones that meet ANSI, API 610 and API 674 specifications. Our inventory of new and used surplus equipment allows us to meet the most demanding timelines while manufacturing to the highest quality and design specifications with full manufacturer standard warranties. With access to thousands of surplus pumps, many times we are able to match existing equipment to replace failed equipment. For tight project delivery timelines, remanufactured pumps can be the difference between success and failure. Westpower has provided remanufactured pumps for small brown field projects to major pipeline installations, allowing our clients to realize revenue faster. 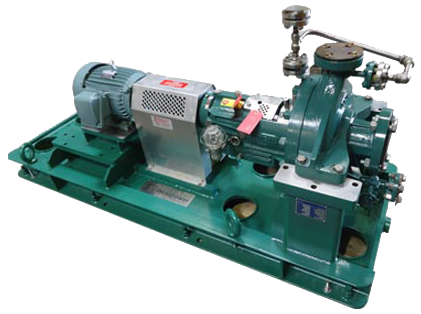 Our remanufacturing process begins with applications engineering selecting a surplus pump followed by our operations team inspecting, rerating, and repairing the pump to OEM or better specifications, and unitizing with the appropriate accessories. Our remanufactured equipment comes with a complete warranty and Westpower’s renowned service. We have a detailed inventory list. Contact David McIntosh (dmcintosh@westpower.ca) for more information.